Learn to measure, one shape at a time! 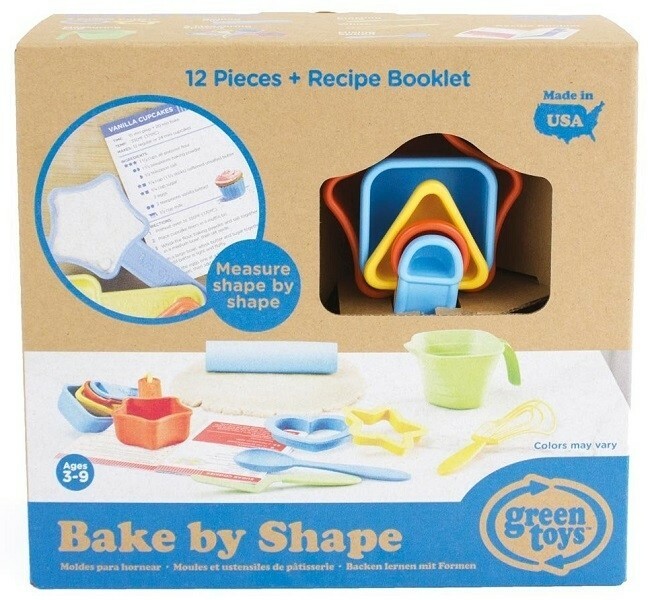 The Green Toys bake by shape set features uniquely shaped measuring spoons to help teach the baking process. The easy-to-follow recipes use the shapes as well as conventional measurements to make baking fun for both pre-readers and older kids. 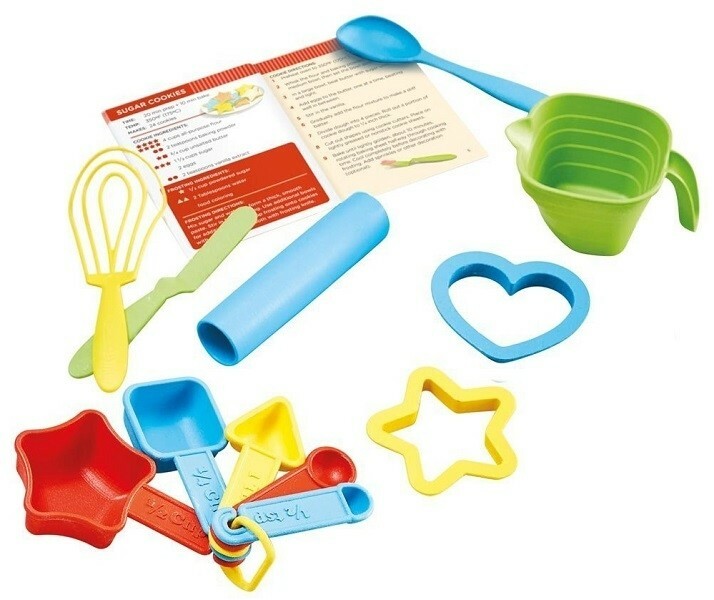 In addition to the measuring spoons and recipe booklet, the brightly-colored, 11 piece set also includes a measuring cup, whisk, frosting knife, mixing spoon, rolling pin, and two cookie cutters -- everything beginning bakers need! Like all Green Toys products, this set is made in the USA from food-safe, 100% recycled plastic with no BPA, phthalates, or PVC.